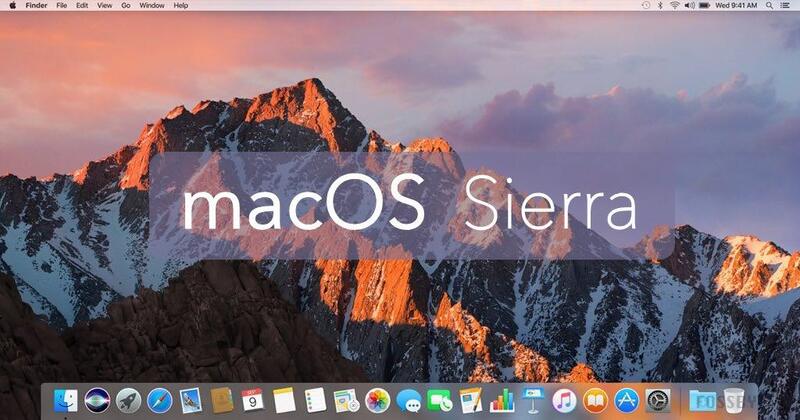 Apple releases macOS Sierra | Apple Mac Repair Dublin, Apple Mac Training Dublin, Apple Sales Dublin. BondiGroup Ltd.
Apple recommend a minimum of 2GB, but we have found that performance is enhanced by upgrading to 8GB RAM or more. This is especially true when running software such as Adobe Creative Cloud. Apple recommend at least 8GB free disk space, but we find a better guide is if you have at least 10% free space on your hard drive. Before updating, make sure you have a full backup of your computer. The easiest was to do this is to use Time Machine. 1. Connect an empty external hard drive to your Mac. You may receive an alert asking if you want to use the drive to back up. If so, choose ‘Use as Backup Disk’. 2. If you don’t receive an alert, go to System Preferences – Time machine and Select Backup Disk. Choose your external drive. 3. Turn Time Machine on. Once your backup is complete you can continue with the macOS Sierra install. 4. Your Mac will download and install the new system. When finished it will restart. As with any system update, we recommend waiting until software issues have been identified and resolved before upgrading. This goes for the operating system itself and also any 3rd party software. If you would like help with any of the aspects above, please contact us for a consultation or hardware upgrade.